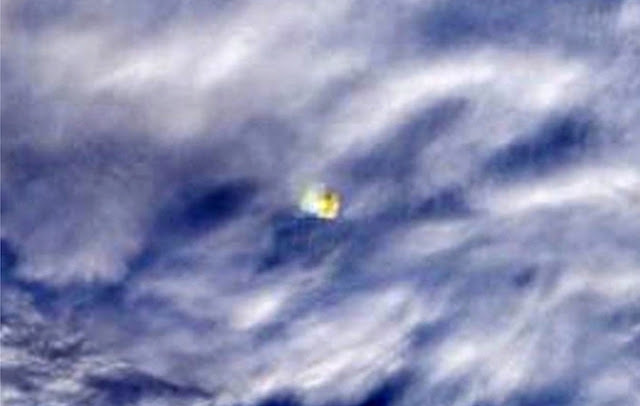 NASA is trying to explain this huge 3-5 mile UFO as an explosion over the Bering Sea this week. 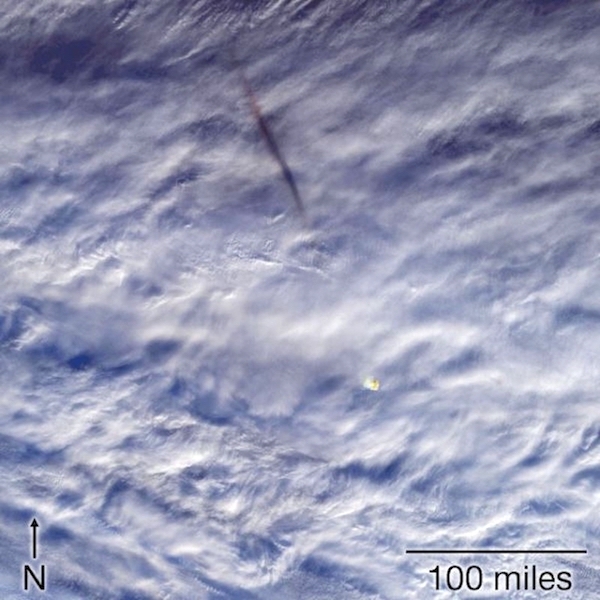 I guess NASA couldn’t think up a better excuse for this large UFO over the ocean. Surly they did it because they knew that it was seen on world wide radars and weather satellites, so they made up the excuse its a meteor. If you think about it, any 3 mile craft coming through our atmosphere at high speed would leave a bit of trail behind it, heating up the air. So, I just can’t buy the NASA excuse of it being a meteor. Look at the UFO photo. Does it look like an explosion? Not really. But it does look like a 3 mile UFO that is lowering itself below the waters surface. I bet if ships were sent out there to investigate, they will find that as they approach the location, their electrical instruments will begin to go haywire and malfunction until further from the location. They also said it released 173 kilotons of energy. Thats 10X more that the atomic bomb over Hiroshima. And yet, we only see an area of 3 miles? If it was 10X the Hiroshima bomb, we would see a 30-60 mile radius explosion, but we don’t.